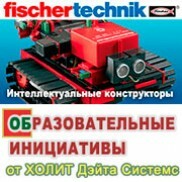 Твердотельные диски SATA Slim купить | Innodisk в Украине – официальный дистрибьютор компания ХОЛИТ Дэйта Системс. 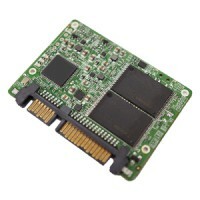 Твердотельный диск SATA Slim D150Q with Toshiba(Industrial, Standard Grade, 0℃ ~ +70℃)The SATA Slim D150Q offers high performance and high capacity in a tiny form factor. 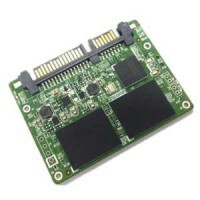 With smaller dimensions, it is the best alternate solution for replacing 2.5” SSDs in embedded systems that have mechanical and s..
Твердотельный диск SATA Slim D150Q TSOP with Toshiba(Industrial, W&T Grade, -40 ~ 85℃)The SATA Slim D150Q offers high performance and high capacity in a tiny form factor. 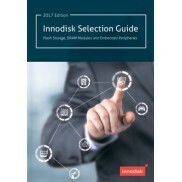 With smaller dimensions, it is the best alternate solution for replacing 2.5” SSDs in embedded systems that have mechanical and s..
Твердотельный диск SATA Slim 3SE(Industrial, Standard Grade, 0℃ ~ +70℃)Innodisk SATA Slim 3SE is SATA III 6Gb/s Flash based disk, which designed with standard SATA interface (7+15 SATA connector), and compatible with JEDEC MO-297 standard. 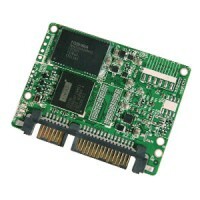 With its smaller dimension, SATA Slim 3SE is an alternative ..
Твердотельный диск SATA Slim 3SE(Industrial, W&T Grade, -40 ~ 85℃)Innodisk SATA Slim 3SE is SATA III 6Gb/s Flash based disk, which designed with standard SATA interface (7+15 SATA connector), and compatible with JEDEC MO-297 standard. With its smaller dimension, SATA Slim 3SE is an alternative solut..
Твердотельный диск SATA Slim 2SR with Toshiba(Industrial, Standard Grade, 0℃ ~ +70℃)SATA Slim 2SR with Toshiba(Industrial, Standard Grade, 0℃ ~ +70℃)..
Твердотельный диск SATA Slim 2SR with Toshiba(Industrial, W&T Grade, -40 ~ 85℃)SATA Slim 2SR with Toshiba(Industrial, W&T Grade, -40 ~ 85℃)..
Твердотельный диск SATA Slim 3IE3 w& Toshiba 15nm(Industrial, Standard Grade, 0℃ ~ +70℃)Innodisk SATA Slim 3IE3 is SATA III 6Gb/s Flash based disk, which designed with standard SATA interface (7+15 SATA connector), and compliant with JEDEC MO-297 standard. With its smaller dimension, SATA Slim 3IE3 ..
Твердотельный диск SATA Slim 3IE3 w& Toshiba 15nm (Industrial, W&T Grade, -40℃ ~ +85℃)Innodisk SATA Slim 3IE3 is SATA III 6Gb/s Flash based disk, which designed with standard SATA interface (7+15 SATA connector), and compliant with JEDEC MO-297 standard. With its smaller dimension, SATA Slim 3IE3 is..
Твердотельный диск SATA Slim 3ME2 with Toshiba 15nm (DRAM-less, High IOPS, Industrial, Standard Grade, 0℃ ~ +70℃)Innodisk SATA Slim 3ME2 is SATA III 6Gb/s Flash based disk, which designed with standard SATA interface (7+15 SATA connector), and compliant with JEDEC MO-297 standard. 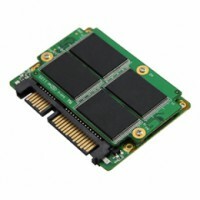 With its smaller d..
Твердотельный диск SATA Slim 3ME2 (DRAM-less, High IOPS, Industrial, W&T Grade, -40℃ ~ +85℃)Innodisk SATA Slim 3ME2 is SATA III 6Gb/s Flash based disk, which designed with standard SATA interface (7+15 SATA connector), and compliant with JEDEC MO-297 standard. With its smaller dimension, SATA Slim 3..
Твердотельный диск SATA Slim 3ME3 w& Toshiba 15nm(Industrial, Standard Grade, 0℃ ~ +70℃)Innodisk SATA Slim 3ME3 is SATA III 6Gb/s Flash based disk, which designed with standard SATA interface (7+15 SATA connector), and compliant with JEDEC MO-297 standard. 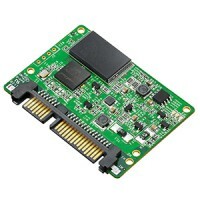 With its smaller dimension, SATA Slim 3ME3 ..
Твердотельный диск SATA Slim 3ME3(Industrial, W&T Grade, -40℃ ~ +85℃)Innodisk SATA Slim 3ME3 is SATA III 6Gb/s Flash based disk, which designed with standard SATA interface (7+15 SATA connector), and compliant with JEDEC MO-297 standard. 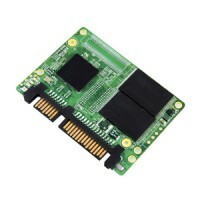 With its smaller dimension, SATA Slim 3ME3 is an alternative s..